The pristine and popular island destination of Zanzibar is an exciting take on a beach safari in Africa. It's ideal location means that the weather is great throughout the year, making it an easy choice for visitors. Plam-fringed beaches and crystal waters are among the top reasons why you should visit the island. From the Jozani forest to the iconic city of Stone Town, Zanzibar is rich in culture and history, attested to by the variety of influences that permeate the fabric of this little East African gem. In days long past, Zanzibar was the entry point to East Africa from the Indian Ocean. Arabian, Malaysian and Indian aromatics were introduced and traded by merchants arriving from distant lands. As a result, Zanzibar became a haven of exotic spices in Africa and these influences continue to dictate the local cuisine. This makes Zanzibar the best beach safari for foodies and sun-seekers. Zanzibar is known as the The Spice Island of Africa. This island's spice heritage harks back more than four centuries ago. In fact, it was previously an ancient trading hub of seafaring routes that circled between India, mainland East Africa, Malaysia and Portugal. During this period, spices from Western Asia made their way to Zanzibar thanks to the useful drift of the monsoon winds that made sailing across the expansive Indian Ocean (using a dhow) easy, practical and relatively fast. That aside, Zanzibar gained massive popularity as a convenient spice trading bay in the 16th and 17th centuries after Portuguese explorers and traders set up base on the island in preparation of their plan to control the larger East African land block. During this time, the traders imported a collection of foreign plants and spices, which included aromatics from as far as India and South America. Soon enough, the Omani Arabs took over the Indian Ocean island and introduced widespread spice farming on it, thanks to its all-year-round regular rainfall and hot climate. In just a matter of a few decades, Zanzibar was a collection of clove trees interspersed with coconut trunks. Today, the legendary spices of Zanzibar have made their mark on island's tasty cuisine. So much so that food served in Zanzibar has a remarkable and distinctive taste that is almost impossible to find anywhere else in the world. What's more, every visitor who lands in Zanzibar is offered what is now customary known as a 'mandatory' spice tour around the island. Among these are turmeric, ginger, cinnamon, chilies, nutmeg, black pepper, and vanilla. You can also take this opportunity to interact with the local population as you stroll through the array of Swahili villages that dot the island just outside Stone Town. Zanzibar also offers an unforgettable cultural experience that is punctuated by a mouthwatering collection of fruits such as mangoes, lychees, papaya, bananas, jackfruit and the notoriously smelly Durian fruit. The island’s cooking includes full-bodied curries using available seafood such as octopus and meat such as goat. Fragrant spices and traditional Malaysian biryanis (a rice dish) complement the Middle-Eastern style kebabs and bhajias; a filled pastry fritter. Whether you are a food lover or an experimental cook, Zanzibar’s rich history and culture has informed the use of spices on the island today. A trip to Stone Town should include a spice tour, where you can sample the tastes and smells of this unique island; the spice Mecca of Africa. Interested in history, food and culture? 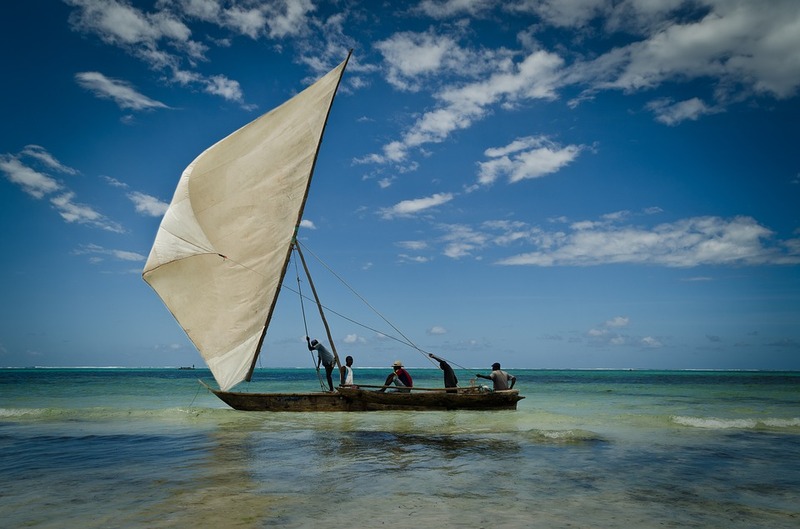 We have great safari packages that take you to Zanzibar's doorstep.